Simple, functional and discreet. The discreet inlets blend perfectly into modern interior design. The only attention they attract is admiration. 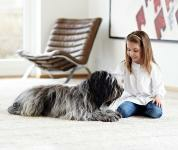 Using a Nilfisk central vacuum cleaner means easy vacuuming. No heavy and awkward machine to drag around, easy to get into corners, up and down stairs, vacuum at any height without heavy lifting and a hose which is never too short. The Nilfisk central vacuum cleaner removes dust from the house for good, which means you do not have to vacuum as often. 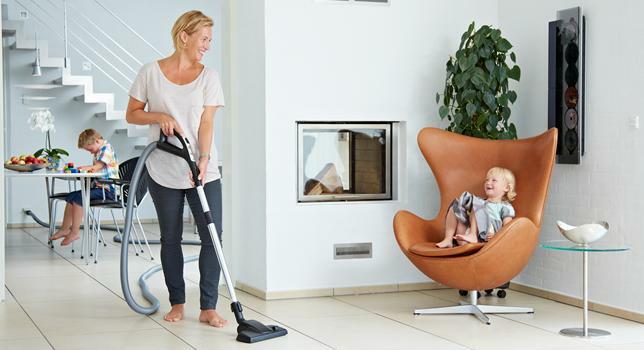 What’s more important, the Nilfisk central vacuum cleaner is so quiet, you can listen to music while you work, or avoid disturbing the rest of the family. These are just some of the advantages which makes vacuuming less of a chore – and makes Nilfisk more than just a vacuum cleaner. Furthermore it is odor free, lightweight and extremely handy, turning a repetitive domestic chore into an agreeable easy-to-do job. With the central suction unit stowed away r free, lightweight and extremely handy, turning a repetitive domestic chore into an agreeable easy-to-do job. With the central suction unit stowed away in the attic, in the basement, or in some other remote location where it bothers no one, the, in the basement, or in some other remote location where it bothers no one, the only thing you need to carry around when vacuuming is the hose itself.